Trade or no trade. If you think that LeBron James is going to let the Laker’s tank the rest of the season, then you must not have watched his work on the court over the last decade and a half. After a 42 point blow out again the Pacers, who are without Victor Oladipo, the rumblings began to echo from Akron to Los Angeles. Every sports pundit who have made a career by finding faults in James, for whatever reason, ramped up criticism by alluding to the possibilities that LeBron was on a decline. That no other NBA stars want to join the Lakers because of him. One would almost think that the way these guys were talking about James is that he had personally destroyed their favorite franchise. Then it occurred to me that more than likely he had. Last night was no different. The Los Angeles Lakes bounced back from their embarrassing 42-point loss to beat a Boston Celtics by the score of 129-128. A Celtic team that by the way were on on a 5-game winning streak. In a game that early on appeared that the Celtics may run away with, the Lakers’ bench began to close the gap and almost erased an 18-point deficit to close out the first half. 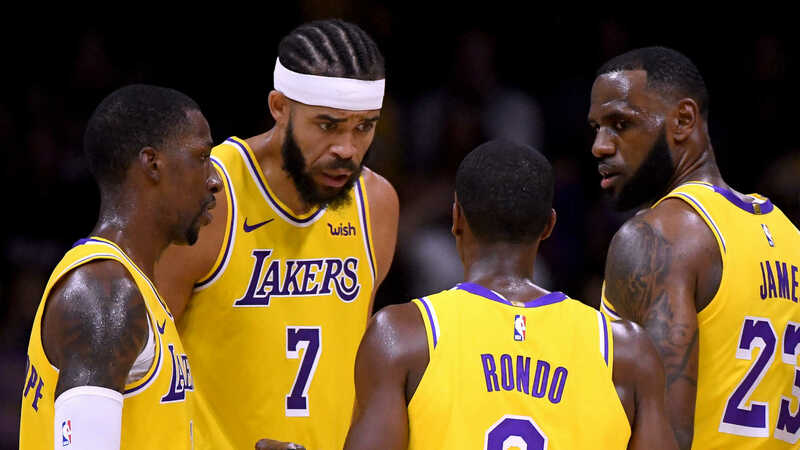 However, it was LeBron James’ commanding orchestration of the Lakers’ offense in the 3rd quarter that got the starters going; while at the same time taking the Celtic’s raucous crowd out of the equation. James’ 7 assists in the quarter kept the usually stout Celtic’s defense off track and forced them to match the Lakers bucket for bucket just to keep the game within 10 points. While the 4th quarter of this game may well be the best 4th quarter in the NBA this season; in the end it was the aura of unselfishness, which was demonstrated by James earlier in the game that was key. Ingram’s pass to Kuzma for the big 3-point bucket in the 4th and Chandler’s tip to Rondo for the game winner; again it was nothing more than an extension of how the team played after they begin to find each other for the better shot which was spearheaded by James. Previous Post Previous post:If her Eyes are Watching God…I just hope we will listen. Next Post If not for you then do it for our love ones.